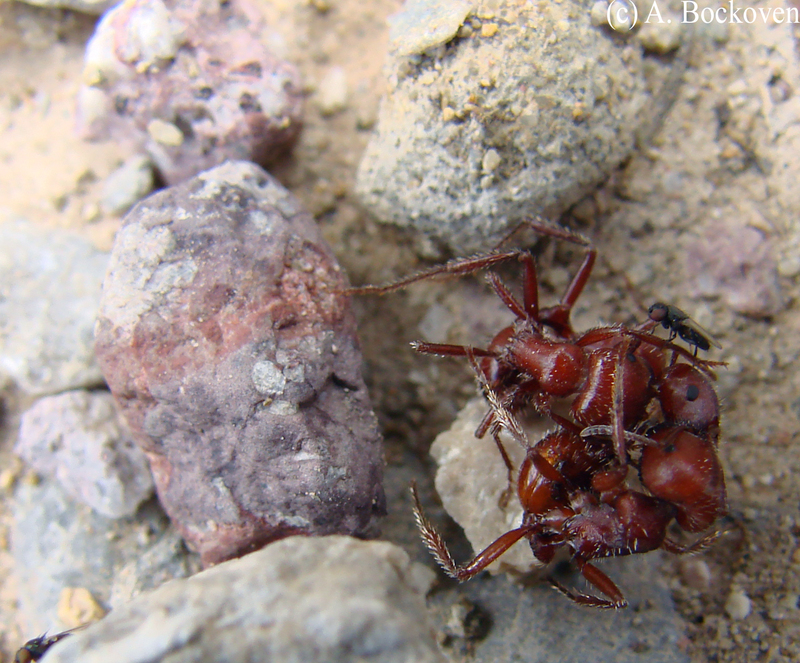 Harvester ants fight while a freeloader fly awaits the spoils of war. I snapped this picture of fighting harvester ants in Arizona, and it wasn’t until I could see the images under the camera’s magnification that I was able to notice a few cool details. First, please note that this is not in fact, two harvester ants fighting, but rather two and a half ants fighting. These ladies are tenacious in battle. Second, as I glanced through the series of pictures of this encounter I realized that one of the ants had a passenger. (Or, perhaps, was showing off her lovely living hat.) Paul Lenhart clued me in to the really interesting bit of biology playing out here. 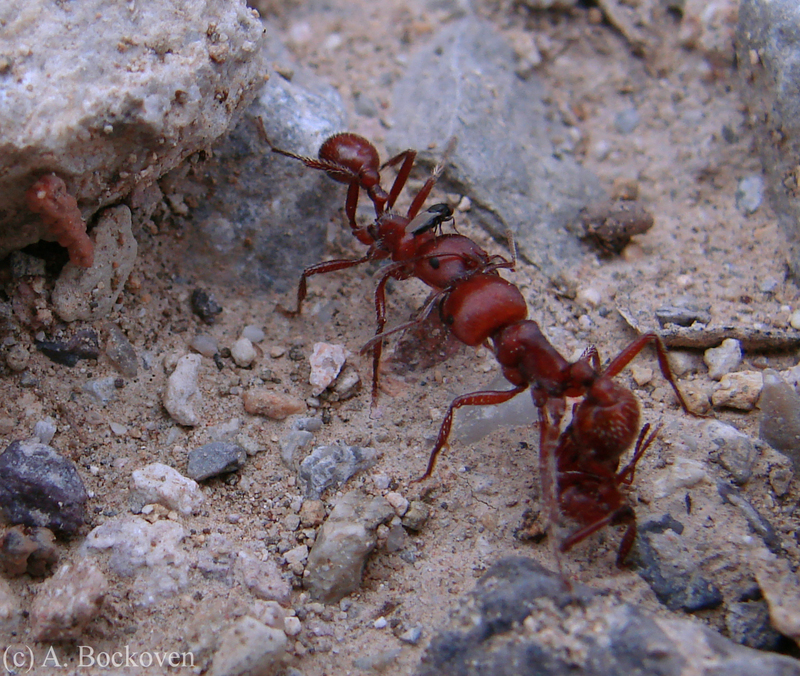 Harvester ant tug-of-war, with freeloader fly looking on. The fly riding out the fight atop one of the ants’ heads belongs to the family Milichiidae, the freeloader flies. These very small flies are best known for the members of the family which make their living as commensals or kleptoparasites of predatory insects. The adult flies hang out near predators, such as spiders or assassin bugs, and sometimes even ride along with them (attendance) awaiting the opportunity to sip up fluids exuded by wounded prey. Freeloader fly rides out a fierce ant tussle. 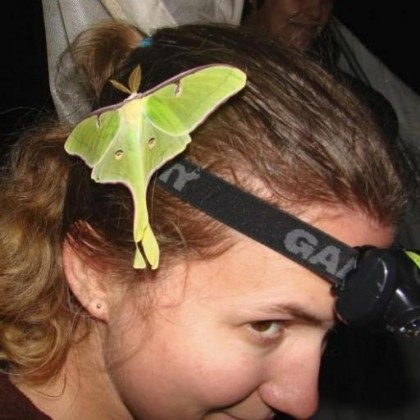 Much like mosquitoes and blood-feeding, in many species only the female exhibits this parasitic behavior, presumably because she needs a high protein diet to lay her eggs. 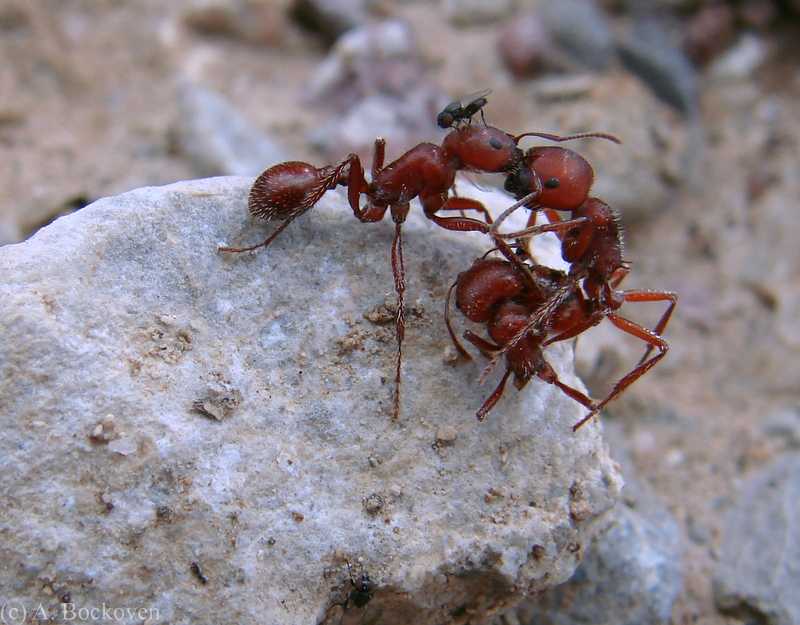 Some myrmecophilous species (ant-loving) have developed such a specialized relationship they even directly solicit ants for food via regurgitation or have larvae tended by worker ants in the nest. In some cases this interaction takes the form of a “mugging.” The flies pursue an ant, and, if they can successfully grab hold of the head by gripping the end of the antennae, the ant will then freeze and the fly can extend its proboscis into the ant’s mouth and trigger the regurgitation reflex (Wild & Brake, 2009). As always, Alex’s pictures are impressive, so if you can’t access the paper figures definitely check the subset in his gallery.